Panchayat Talati & Jr. 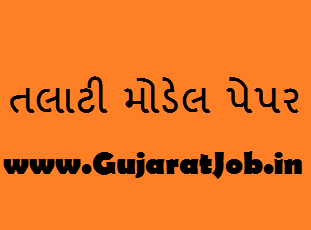 Clerk 100 Marks Model Paper No.1 GujaratJob.in: Dear Visitor ! Are you Preparing For Upcoming Panchayat Talati Junior Clerk, Gram Sevak Exam. Don't Worry we are preparing model papers for you. This model paper is prepare as syllabus. 100 marks paper will help you a lot. This Paper contains all subject like Gujarati,English,Science,Maths,Reasoning,Current and all important section. So download this paper and prepare better.